Another day, another tube strike in London. This time, it coincides with National Oyster Day. Oh the irony. Never ones to miss out on an opportunity, here's what brands are doing to make the most of the captive audience. 1. Renault has put on a free shuttle service for stranded commuters. 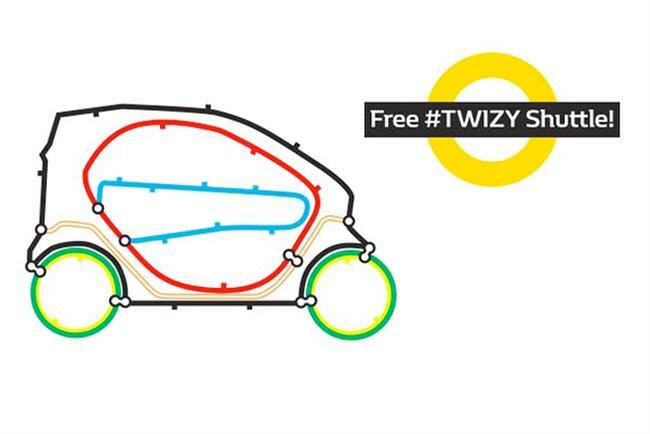 A fleet of Twizy cars will be roaming the London streets between key commuter tube stations, and people will be able to hail one down like a black cab. The cars have been branded Free #Twizy Shuttle!. The idea was conceived and executed by Publicis London. 2. Like the strike last month, Fitness First is allowing commuters to use its showers and facilities for free. People have to show their Oyster Card at one of the chain’s 45 central London gyms. 3. Strada, the restaurant chain, is offering customers free coffee. 4. Evans Cycles will provide free bike checks and repairs for anyone commuting by bike. 5. Penny Skateboards gave away free skateboards at Victoria station. 6. Payfriendz, the money transfer app, is going all out too by giving out free rickshaw rides.